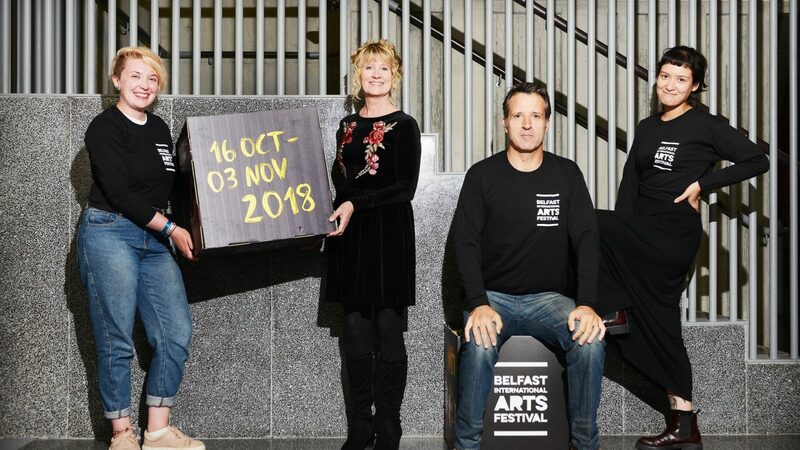 Belfast International Arts festival will once again be keeping audiences on the edge of their seats as a variety of world class artists come to Belfast from the 16th October to 3rd November 2018. Something that is vital to the running of the contemporary arts event is the support lent to Belfast International Arts Festival by a team of enthusiastic volunteers, helping to deliver an unforgettable experience to all visitors and welcome artists from across the world. The festival’s growing stature attracts renowned artists from across the globe. Audiences will be entertained by a number of exciting and important performances including screen star Isabella Rossellini, Grammy award winning Angélique Kidjo, former Irish President Mary Robinson among over 100 other acts taking part in the 2018 spectacular. Belfast International Arts Festival is led by some of the top professionals in the industry. Volunteers gain an insight into the world of arts, events and PR and all receive World Host training, an accredited qualification. With keen volunteers already recruited for 2018 Festival Director, Richard Wakely, greatly appreciates the integral role volunteers play in the annual event. Sonya Whitefield, Arts Officer, Arts Council of Northern Ireland said, “ If you have a passion for the arts and you like interacting with people then volunteering at the Belfast International Arts Festival is a perfect opportunity for you to explore new roles, develop new skills and be part of something exciting and creative. Belfast International Arts Festival is supported by the Arts Council of Northern Ireland, The National Lottery through the Arts Council of Northern Ireland, Belfast City Council, Tourism Northern Ireland and British Council. With over 120 events including 12 premiers make sure to check out the full programme available from the festival website.